One of the most important aspects of running your own sportsbook as an independent sports bookmaker is having the financial wherewithal to pay off your customers when they win in an acceptable amount of time. Much of the actual cash will go back and forth between your players with both winning and losing bets with your cut coming from the vigorish or commission you charge to book the action; however you always need to be prepared to cover the times when the winners outpace the losers by a large margin. Moving your own lines to balance out the action can only go so far if everyone of your players decides to jump on one side or the other. 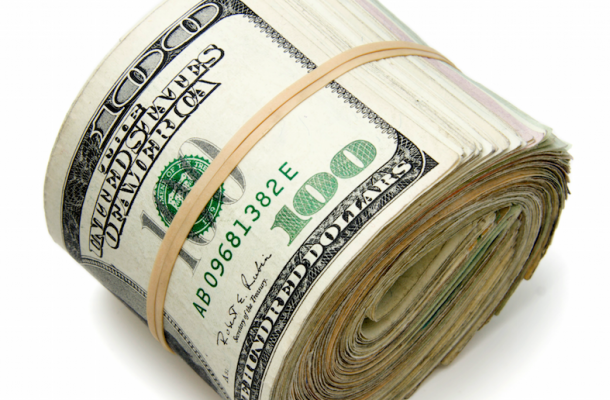 To start, you are going to need some up-front cash to get your bookie business off the ground. One simple rule of thumb is two and half the times cash of the total amount of weekly action you expect to take in. This should be enough to maintain cash flow while adding some profits to your company’s overall bottom line. There are always going to be some rough patches, so the extra cash needs to be there to keep things going when things get tight. Running your own sports bookmaking operation can be a highly lucrative business proposition, but one of the most important aspects of building and growing your business is having the ability to pay your customers when they win. One of the best ways to get started as a private bookie is with a limited betting cliental. Adding players down the road is going to be very important to the long-term success of your business, but in the beginning you will want to take things slow in order to get a good feel for how things run on a week-to-week basis. This will give you a chance to track each of your player’s betting patterns and habits in terms of the amount of money they bet as well as the range and scope of the sports they bet on. Once you feel comfortable that your cash flow is adequate to handle payouts on a regular basis, you can then begin to market your bookmaking services to other prospective sports bettors. It is pretty obvious that bookies make the most money during football season. In fact, some private bookies only run their operation from September through January to cover this sport. If you are serious about growing and building an independent sportsbook that can provide year-round profit on a long-term basis, you might want to take a different approach. Getting your operation up and running well in advance of a new football season can actually put your bookie business in great position to really cash in when the fall rolls around. While you may not make all that much money in the offseason, you will gain some very valuable experience and insight that can go a long way towards creating a highly successful business venture a bit further down the road. Given the complexities of sports betting in the age of highly sophisticated online mobile technology, you are going to need some kind of bookie software package to run the day to day operations. Known as Pay Per Head providers in the Internet sports betting industry, this is an excellent way to build your bookie business from the ground up. All the online transactions that go into a business of this nature are automated, trackable and controlled. The best part is that you can maintain a fixed cost based on a per head fee for active bettors. Whether you have five players or 500, the same per head fee applies. This site can be used as a guide on how to get started as a bookie, you can find information about different types of wagers, line types, profiles and odds, tips how to not get caught, best ways to collect, and how to be a successful bookie. ©2019 How To Become a Bookie.